Thirty-seven (37) years ago I stopped in St. Louis on my way to graduate school in New York to visit my sister Sue, brother-in-law Bob (also my best friend in high school) and baby Brian. Of course, we went to the Arch. 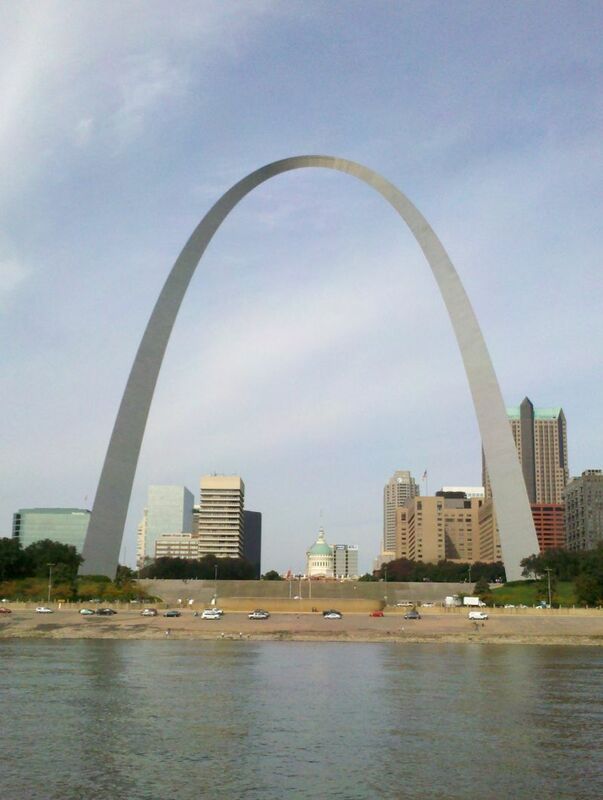 The Arch is not only a symbol of the great American West where I grew up, it is also a symbol for Loopers — start down that Mississippi and the only way to get back home is to keep going around, because there’s no way to get back up the Mother of Waters. On the way to the arch, we did another symbolic act and ducked up the Missouri in honor of my friend Bjorn, a student (from Sweden, no less) of the Lewis & Clark Corps of Discovery. So three great rivers this week — the Mississipi, Missouri, and Ohio. More on that later, but once again, we are in the middle of nowhere in the middle of America with a weak wi-fi signal.